Is Endologix, Inc. (ELGX) A Good Stock To Buy Right Now? 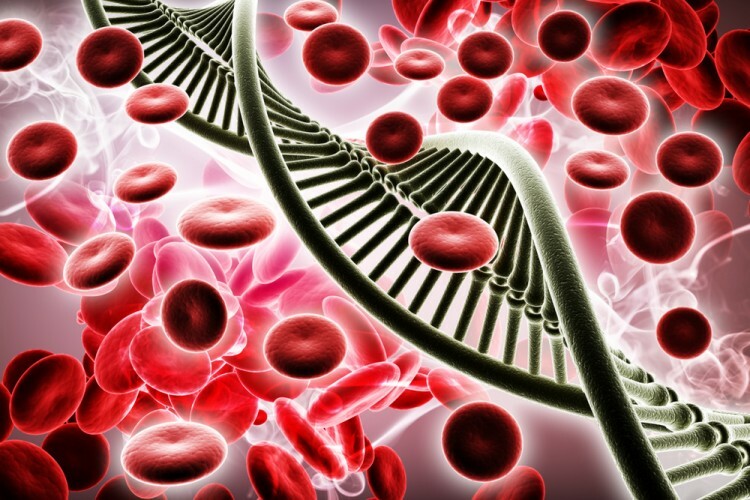 Is Endologix, Inc. (NASDAQ:ELGX) a good stock to buy right now? Hedge funds are genuinely reducing their bets on the stock. The number of long hedge fund bets shrunk by 8 lately. There were 24 hedge funds in our database with ELGX positions at the end of the previous quarter. The level and the change in hedge fund popularity aren’t the only variables you need to analyze to decipher hedge funds’ perspectives. A stock may witness a boost in popularity but it may still be less popular than similarly priced stocks. That’s why at the end of this article we will examine companies such as PennyMac Mortgage Investment Trust (NYSE:PMT), Fortuna Silver Mines Inc. (NYSE:FSM), and Aerie Pharmaceuticals Inc (NASDAQ:AERI) to gather more data points. Endologix (ELGX) is a medical device company that develops and manufactures minimally invasive endovascular stent grafts for the treatment of abdominal aortic aneurysms (AAA). AAA is a weakening of the wall of the aorta resulting in a balloon-like enlargement. If AAA is untreated, it becomes increasingly susceptible to rupture, which can lead to death. Around 1.7 million Americans have AAA, and the overall patient mortality rate for ruptured AAA is around 75%. For the treatment of AAA, Endologix currently markets the AFX Endovascular AAA System in the U.S., Europe, and other regions, and the novel aneurysm sealing system Nellix EndoVascular in Europe. Hedge funds like ELGX principally because the company has a lot of growth ahead. Due to an increasingly aging population, the market for AAA and thoracic treatment is expected to grow to $4.7 billion in 2020 from $3.8 billion in 2016. Meanwhile, ELGX’s new product introductions, such as the potential introduction of the Nellix in the United States, should give it more market share. In July 2016, ELGX filed a PMA for the Nellix, and the company should receive the FDA’s approval or disapproval for the marketing of the device next year. Although the FDA requested more information concerning Nellix on August 3, 2016 given the device’s novelty, many analysts still expect the FDA to approve the device. ELGX is also attractive because it acquired TriVascular in a stock and cash transaction for around $211 million in late 2015. TriVascular manufactures the Ovation Abdominal Stent Graft Platform, which is FDA-approved for Endovascular Aortic Repair for AAA. The merger between the two should strengthen ELGX’s leadership in the AAA field and accelerate ELGX’s growth rate, which management expects to average around 20% a year until 2020, by which time ELGX should have 20% adjusted EBITDA margins. Keeping this in mind, we’re going to take a peek at the recent action surrounding Endologix, Inc. (NASDAQ:ELGX). At Q3’s end, a total of 16 of the hedge funds tracked by Insider Monkey held long positions in this stock, a change of -33% from one quarter earlier. 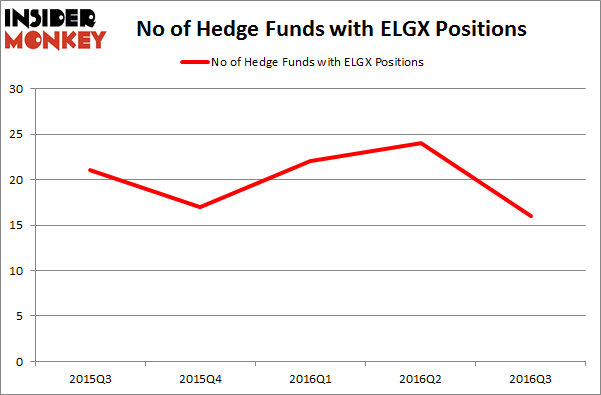 On the other hand, there were a total of 17 hedge funds with a bullish position in ELGX at the beginning of this year. So, let’s review which hedge funds were among the top holders of the stock and which hedge funds were making big moves. When looking at the institutional investors followed by Insider Monkey, Redmile Group, led by Jeremy Green, holds the largest position in Endologix, Inc. (NASDAQ:ELGX). Redmile Group has a $44.6 million position in the stock, comprising 3.5% of its 13F portfolio. The second largest stake is held by Eric Bannasch of Cadian Capital, with a $36.4 million position; 1.9% of its 13F portfolio is allocated to the company. Remaining professional money managers that are bullish encompass Justin John Ferayorni’s Tamarack Capital Management, Israel Englander’s Millennium Management and Brian Ashford-Russell and Tim Woolley’s Polar Capital. We should note that none of these hedge funds are among our list of the 100 best performing hedge funds which is based on the performance of their 13F long positions in non-microcap stocks.